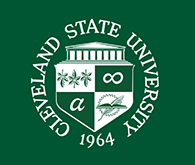 Join the Michael Schwartz and the Center for Faculty Excellence for CSU Faculty Workshops. All workshops are held from 11:30 am to 12:30 pm in the Library, Rhodes Tower, room 401. Workshops are free, but registration is required. Posted 2017-01-19 13:19:08 by Barbara_Loomis.